Game Trader is a family run, locally owned store where personal attention and service are the number one priority. We don't just work in a game store, we are gamers too! You don't have to walk all over some big-box store to find someone that can't be bothered; we are always happy to help and available to answer your questions! These are just a few of the glowing reviews your fellow gamers have left about our store. 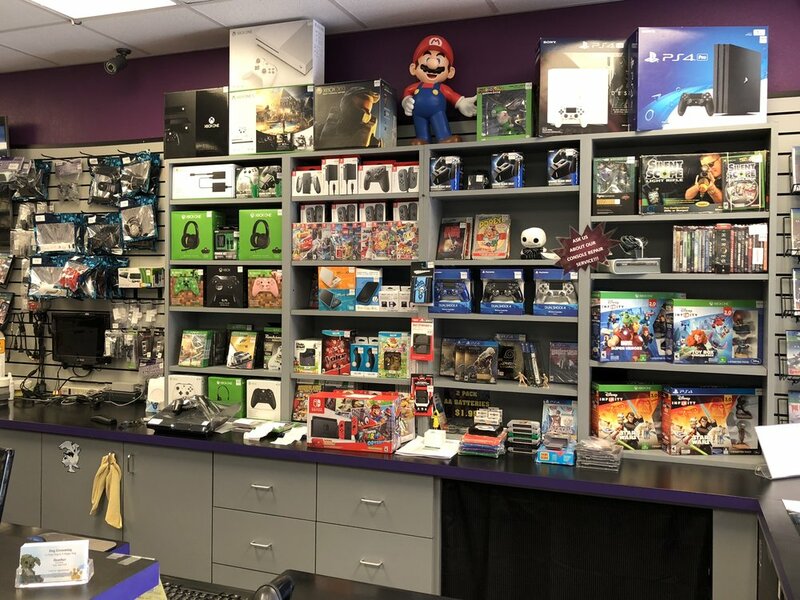 What makes a place like Game Trader special is the care they offer to their customers, conversing about games, offering special deals for purchasing multiple used games, and throwing great launch-day parties on launch day for new games. Great place great people. They repaired my console quickly and inexpensively (helluva lot cheaper than the new one they could have sold me). Always helpful with an amazing selection of new and used games. If you are a real gamer and haven't been here before it will be like walking into a dream! They carry so many things other game stores do not. And believe me everything comes through here sometime or another! So fired up the Xbox and the dreaded red ring of DEATH appeared. Took it into Game Trader and they immediately ran some tests and Fixed it. Turns out the power cable died. So glad it was such an EASY fix. We are in Northeast corner of the Safeway shopping center at Grant and Silverbell.